Join us for our Reformation Hymn Festival! 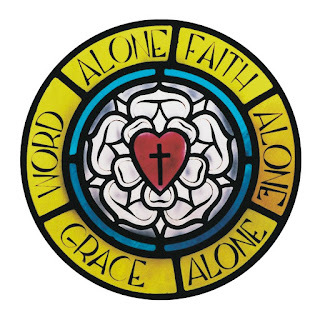 CLS is sponsoring an Edmonton area Reformation Hymn Festival, "Here We Stand; Now We Sing." Quest Part IV - Final Class tonight! Dr. John Maxfield, Associate Professor of Religious Studies at Concordia University of Edmonton, will present his final Quest course on "Martin Luther's Road to Reformation, 1483-1521." This final class will look at the controversy over the 95 theses and the development of a reformer along with "A Wild Boar in the Vineyard? - The road to Luther's stand at Worms." Fall 2017 Quest Course Part III available now online for viewing! What better way to celebrate the “Reformation 500” anniversary than to learn about the man who started it all? In this course we will examine Martin Luther’s life and the development of his theology from his birth in 1483 to the controversy that developed thirty-five years later after his posting of the Ninety-Five Theses on Indulgences on October 31, 1517 and that initiated the Reformation. Dr. John A. Maxfield is an ordained pastor of Lutheran Church – Canada and serves as Associate Professor of Religious Studies at Concordia University of Edmonton. He teaches History of Christianity, Theology, and European History, specializing and publishing in the areas of the German Reformation and Luther Studies. Quest courses are posted on our YouTube channel https://www.youtube.com/user/ConcordiaLutheranSem or via our Web Player http://subsplash.com/concordialutheranseminary for you to watch at your convenience. Part II of our Fall Quest Course is available online now! Martin Luther’s Road to Reformation, 1483-1521 What better way to celebrate the “Reformation 500” anniversary than to learn about the man who started it all? In this course we will examine Martin Luther’s life and the development of his theology from his birth in 1483 to the controversy that developed thirty-five years later after his posting of the Ninety-Five Theses on Indulgences on October 31, 1517 and that initiated the Reformation. Did you miss Part I of our Fall 2017 Quest Course? Part I available for viewing now! CLS is sponsoring an Edmonton Area Reformation Hymn Festival "Here We Stand; Now We Sing"
Wednesday, November 1, 2017, 7:00 p.m. Joining Quest Online!! Follow these instructions. Our Quest course in the fall is on Wednesday evenings to accommodate Dr. Maxfield. Oct. 4, 11, 18 and 25th at 7:00 pm Alberta time. See below that you can watch the classes via our YouTube channel approximately one week later once it is uploaded. To join via Adobe Connect in live time (7:00 pm MDT) here are the instructions. If you wait the Quest courses are posted on our YouTube channel https://www.youtube.com/user/ConcordiaLutheranSem or via our Web Player http://subsplash.com/concordialutheranseminary about a week later, which you can watch at your convenience. Participants can view the live feed here: http://concordia.adobeconnect.com/quest. Select "Enter as a Guest", type in your name (or group name), and click "Enter Room"
Once you have entered the "room", you will see that your screen is divided into several sections. Each section will contain a different portion of the presentation - such as live video, a list of participants, a chat room, and a power-point style presentation - once the class begins. You will not need to broadcast your own video or audio. If you have questions, you have the opportunity to type them in the chat box for the instructor or moderator to see. Older computers and poor internet connections will negatively affect your experience; if you have concerns or questions about technical requirements, contact Anna (registrar@concordiasem.ab.ca) prior to the class. “Martin Luther’s Road to Reformation, 1483-1521” will be taught by Rev. Dr. John A. Maxfield. The free course is scheduled for Wednesday nights in October 2017, with live-streaming online for those unable to attend in person. What better way to celebrate the Reformation 500 anniversary than to learn about the man who started it all? In this course we will examine Martin Luther’s life and the development of his theology from his birth in 1483 to the controversy that developed thirty-five years later after his posting of the Ninety-Five Theses on Indulgences on October 31, 1517 that initiated the Reformation. Classes will take place October 4, 11, 18, and 25 at Concordia Lutheran Seminary in Edmonton from 7:00 p.m. to 9:00 p.m. local time, with live-streaming online occurring simultaneously. Video from the lectures will be made available online later for viewing after the event. The breakdown of classes is as follows: October 4: Church Life and Spirituality in Germany on the Eve of the Reformation / Luther’s Family, Upbringing, and Education October 11: Life in a Monastery and Student of Theology/ Luther as Professor of Theology and Maturing Theologian October 18: Luther’s “Reformation Discovery” of Justification by Faith—Early Developments and His Reflections as an Old Man/A Theologian of the Cross and the Beginnings of Reform October 25: The Controversy over the 95 Theses and the Development of a Reformer/A Wild Boar in the Vineyard? The Road to Luther’s Stand at Worms Course instructor Dr. Maxfield is an ordained pastor of Lutheran Church–Canada and Associate Professor of Religious Studies at Concordia University of Edmonton. He teaches courses in the History of Christianity, Theology, and European History, specializing and publishing on the German Reformation and Luther Studies. Among other works, he is a contributor to the forthcoming Oxford Encyclopedia of Martin Luther, with an article on Martin Luther’s exposition of Old Testament texts. Those interested in participating can do so either on campus or online (http://concordia.adobeconnect.com/quest). There is no cost to participate; register by email at admin@concordiasem.ab.ca or by phone at 1-780-484-1468 (ext. 225).